Arizona was the first destination I traveled to solo. It was an amazing experience and I loved every minute of it. 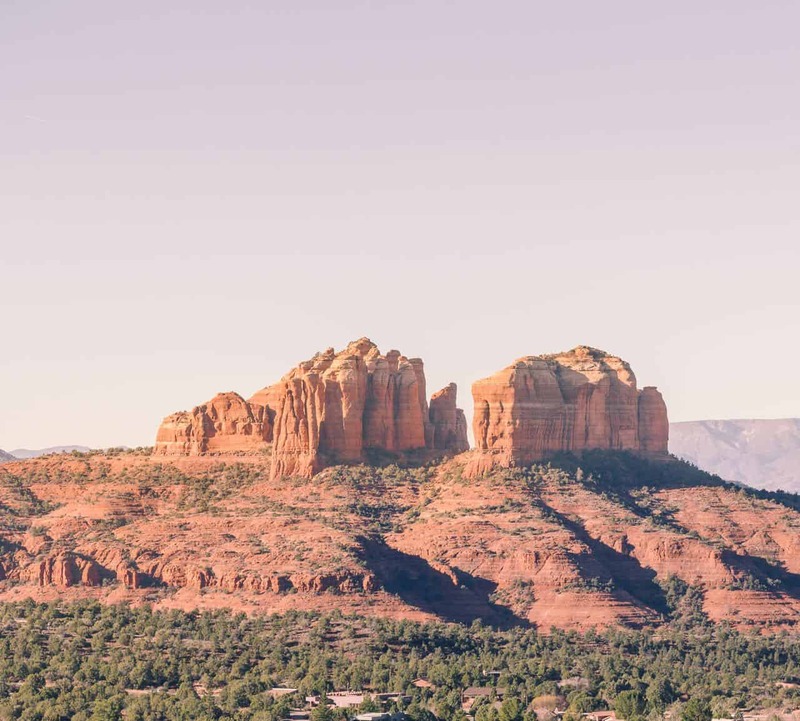 I decided to piece together my travels into an Arizona road trip since I thought the entire week I spent there went so smoothly. 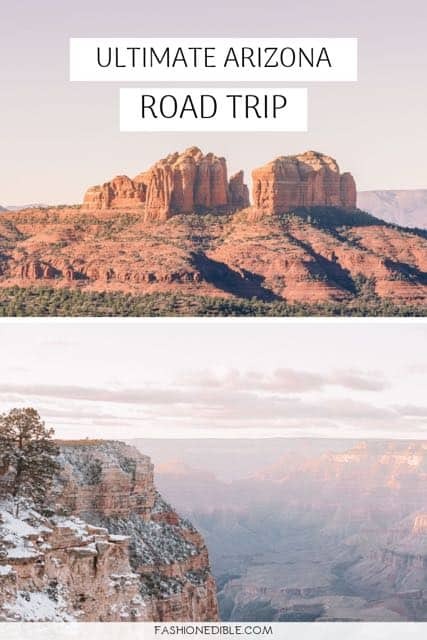 Even though it might not seem like a great place to travel solo at first, you’ll quickly realize that a road trip like this is easy to do if you’re traveling alone, with a family or as a couple. You’ll start your trip off in Phoenix and make your way to the north, close to the border of Utah. 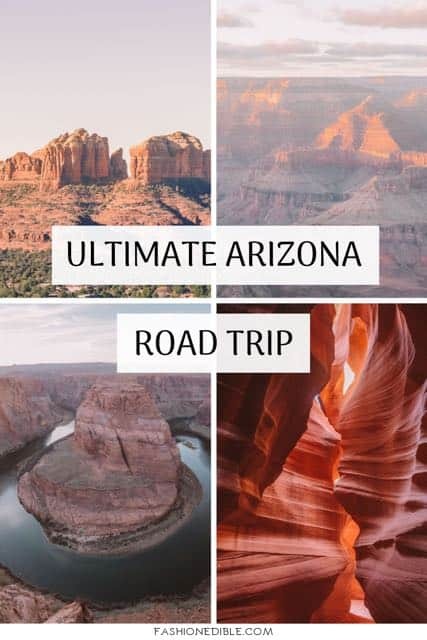 You can use this guide to plan your ultimate Arizona road trip itinerary by choosing which destinations you would like to visit and the length of time for each. If you do the entire itinerary, plan for at least 6 days including drive time, though 7 or 8 days is best. Total drive time equals 11 hours. Total distance is 651 miles roundtrip. You’ll want to fly into Phoenix Sky Harbour International Airport (code PHX). It’s the best airport to fly into both nationally and internationally and it’s easy to maneuver once you’re there. Conveniently, the airport is about 10-15 minutes away from downtown so once you arrive, you’ll be at your hotel in no time. Make sure you reserve your car rental a few months beforehand. I would highly recommend Enterprise; we have never had issues with them and have felt super confident in our rental every single time we have rented a car from them. Since you’ll be spending a few days in Phoenix, wait until you’re ready to leave the city to rent your car. You can just use Uber while you’re in the Phoenix area and then grab a ride back to the airport when you’re ready to continue your road trip. If you visit during winter (January), make sure to pack a few light sweaters and a jacket as well as boots and a scarf. 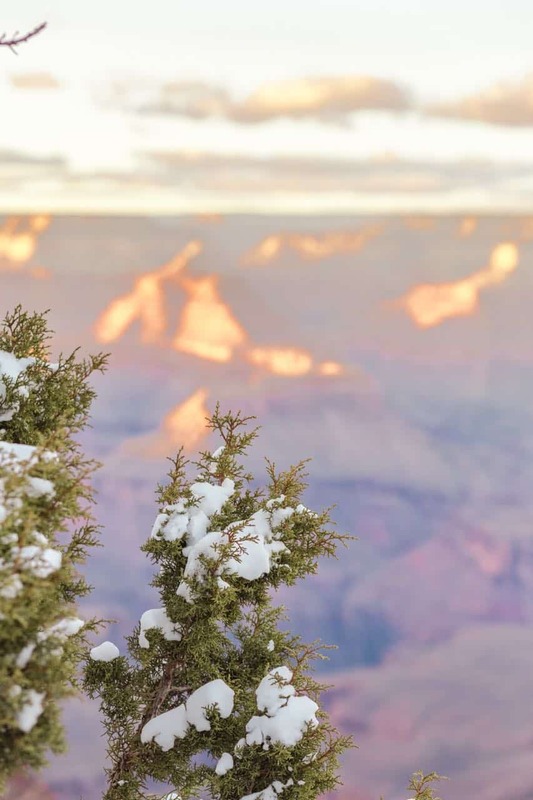 It does get chilly, especially at the Grand Canyon; in fact you’ll come across quite a bit of snow up north. Antelope Canyon and Horseshoe Bend will also be quite chilly. Summers are hot so keep your suitcase light and filled with cotton tops and dresses. A reusable water bottle is almost a necessity especially if you’re planning on hiking. And of course, hiking shoes for the handful of hikes you might go on. Stock up on food before you leave Phoenix – Before you leave Phoenix, I highly recommend stopping at the Trader Joes (or another grocery store) to pick up some snacks and food for the road especially if you’re picky about your food. 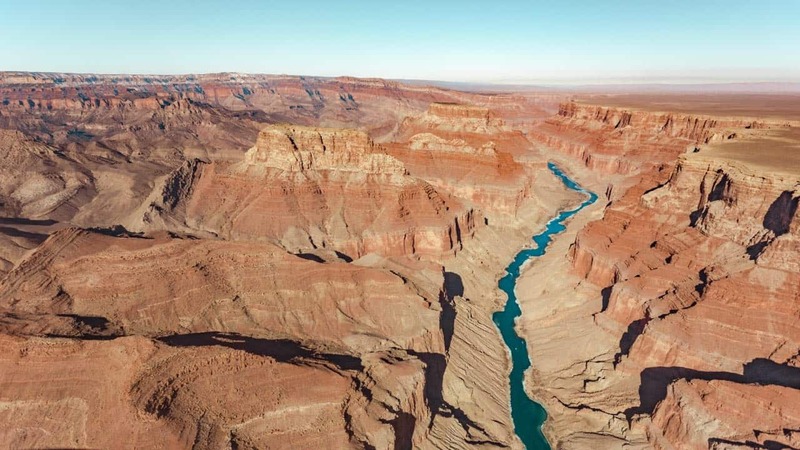 Your first stop after Phoenix will be the Grand Canyon and there is nothing out there except for a few gas stations, motels/hotels, a handful of restaurants and one or two small markets. You’ll want to stock up on your favorite foods before you hit the highway. Since I was traveling alone and wasn’t sure where I wanted to eat, I bought a few snacks and salads. I was exploring in January and I was only staying one night so I just kept all my snacks in the car. You don’t go to the Grand Canyon for the dining experience so even though there are a handful of restaurants up there, the quality is mediocre overall. If I had been traveling with my husband, I would have just gone out to eat but I just wanted to note this in case you have food allergies and/or are on a strict diet. Map it out – As with all road trips, make sure you map out your itinerary and directions beforehand. Sometimes you’ll lose service on certain parts of the highway so have a backup map or method to getting directions in case your maps app decides to quit on you. The drive from Page Arizona back to Phoenix was especially difficult as highway 89 had terrible reception for about 1-2 hours. Keep water on hand – I really hate plastic water bottles but unless you can carry around glass jugs, then you’ll have to buy a few to keep on hand especially if you’re taking your trip during the summer months. There are a lot of remote highways on this drive with no gas stations or stores. 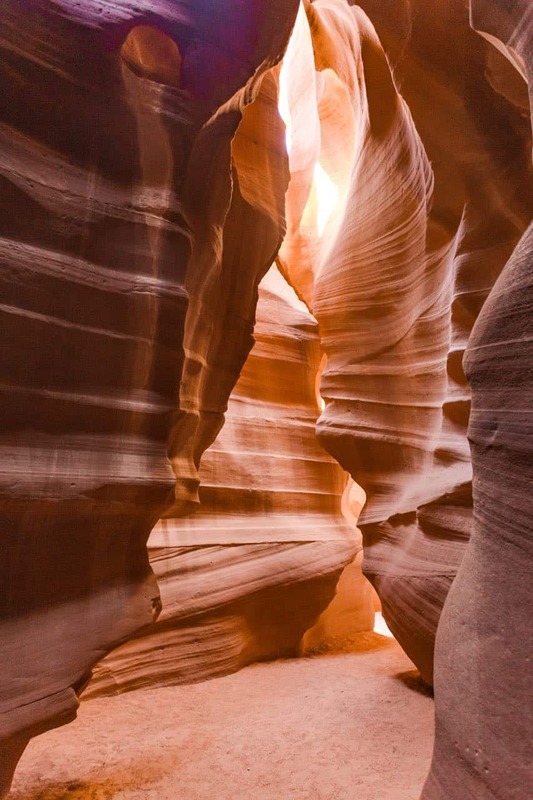 Reservations – Besides reserving your car, you’ll want to reserve a tour for Antelope Canyon before your trip. 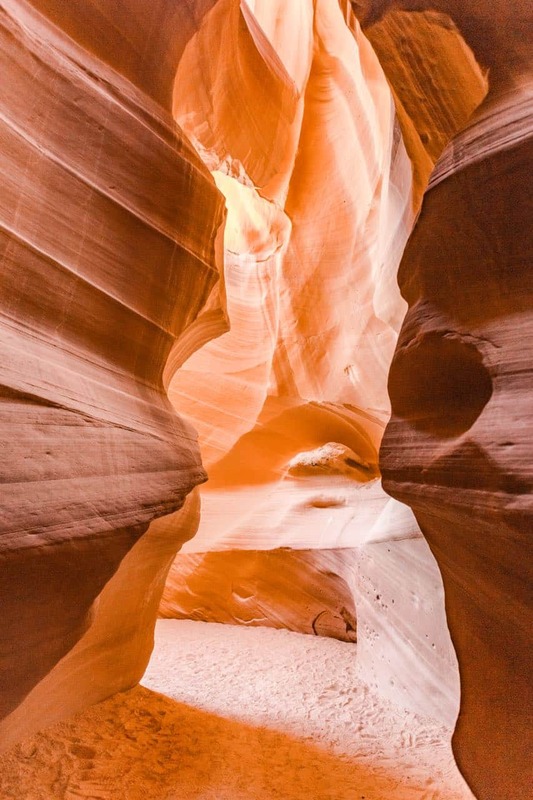 Visits to Antelope Canyon require a tour guide so don’t wait until the last minute to book your spot. They do sell out especially if you’re here in the summer. Where to stay: You can choose to stay at Mountain Shadows Hotel or Valley Ho Hotel if you want a luxury experience. Both hotels have delicious breakfasts, clean rooms and friendly service. And they each have a completely different vibe – one is more modern and stark and the other is eclectic and colorful. Mountain Shadows sports beautiful mountain views while Hotel Valley Ho overlooks the city. You can’t go wrong with either choice. 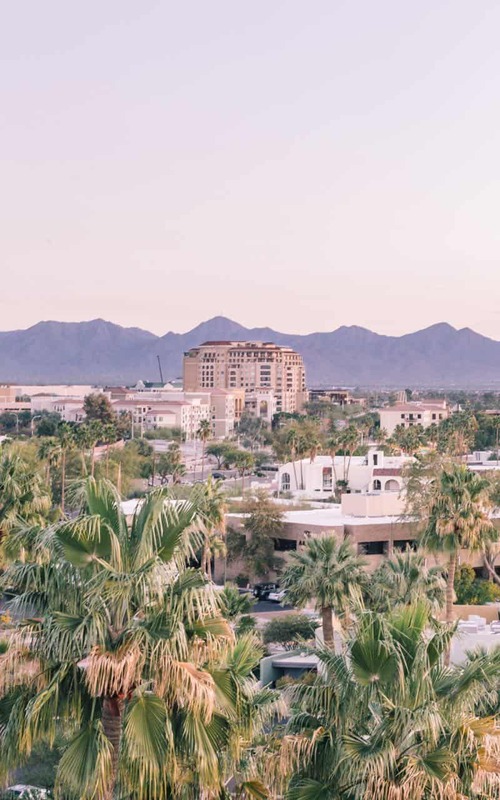 What to do: Phoenix has a lot to offer the traveler so the best way to plan your Phoenix portion is to refer to our three guides: itinerary guide to Phoenix, places to eat in Phoenix and what to do in Phoenix Arizona. 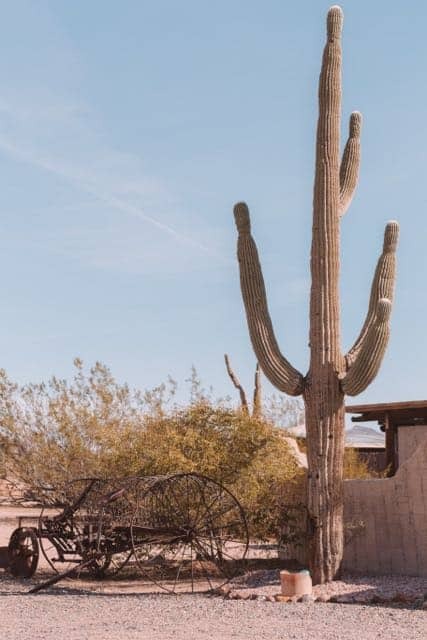 These three guides are a great way to put together an epic time in Phoenix but if you want a quick summary of all of them, then I’d highly recommend looking into the Desert Botanical Garden for the coolest cacti, Fresh Foodie Trail for all your food cravings, Spa Avania for a terrific spa experience and Agritopia for the most unique community. 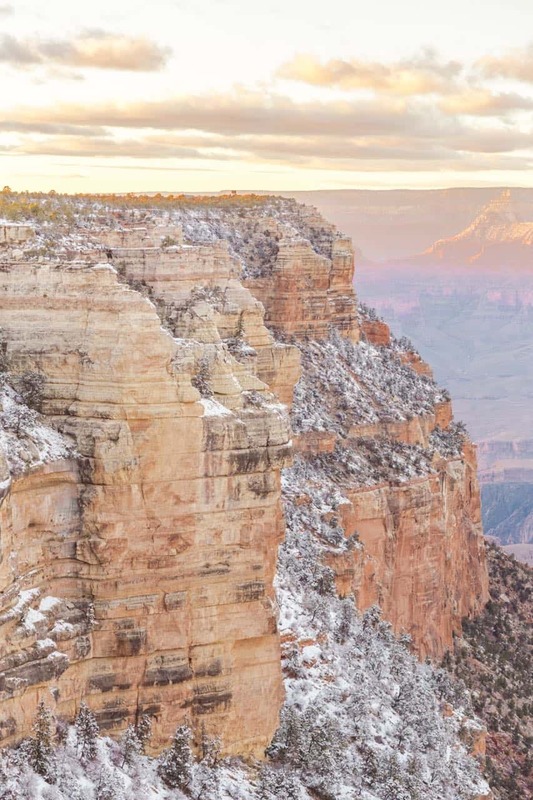 You’ll continue your road trip in Arizona by traveling north and heading straight for the Grand Canyon. This section of the trip is about 5 hours. 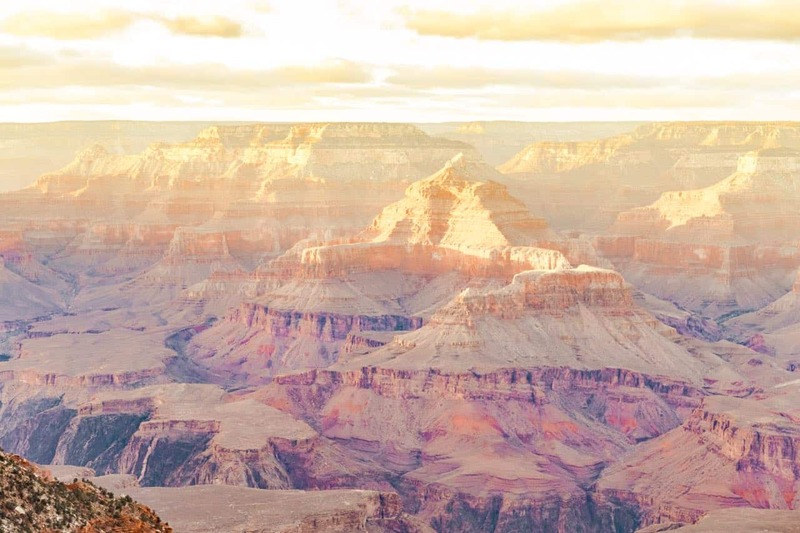 Interesting fact that you may not know: the Grand Canyon is sometimes considered a day trip from Phoenix. 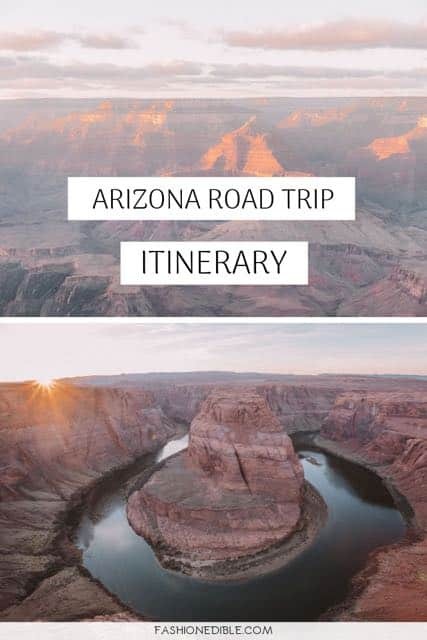 There are tours that will pick you up in Phoenix and bus you out to the Grand Canyon for an entire day. I would recommend much longer than a day but it’s something to consider if you’re ever in Phoenix and want to make a quick getaway. 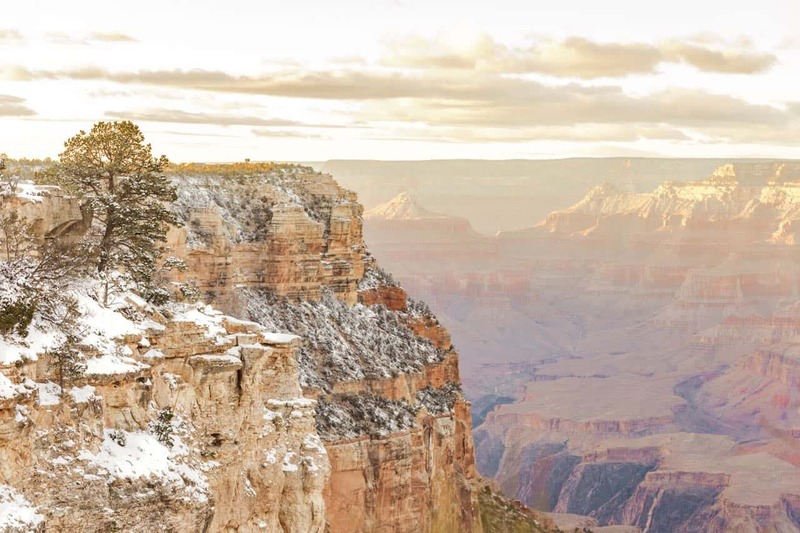 Where to stay in the Grand Canyon: There isn’t much by way of lodging when it comes to the Grand Canyon. The government has all sorts of fees and high costs associated with building new establishments there so most of the ones that you come across during your research are old and have been grandfathered in. 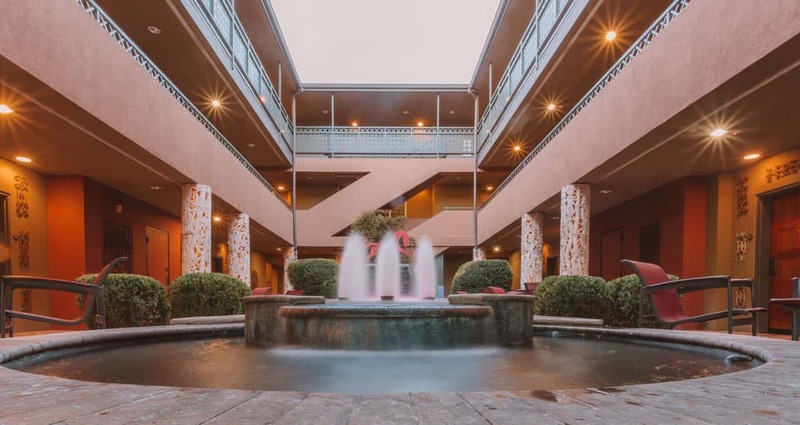 You won’t find anything in terms of luxury accommodations but instead you’ll encounter various Best Westerns, Days Inns, Holiday Inns, and motels. Reviews are not-so-great on most places so lower your expectations. Prices are reasonable during winter; expect upwards of $289 during peak season. Alternatively, you can choose to camp at the Grand Canyon. What to do: The Grand Canyon is huge and is actually divided out into regions: North Rim, South Rim and West Rim. 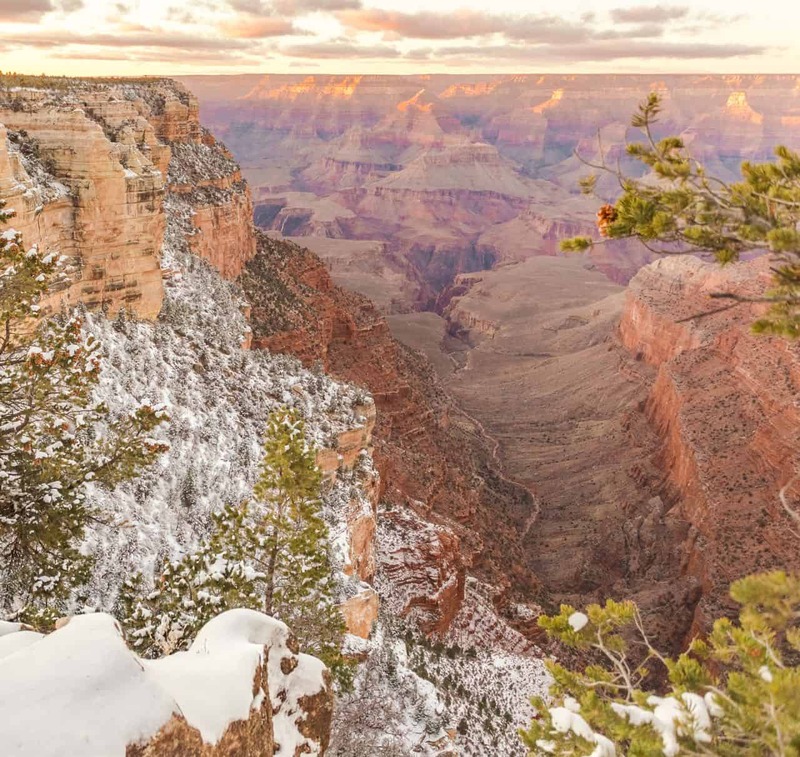 More than likely, you’re going to want to head to the South Rim if this is your first time visiting. This tends to be the most popular rim in the Grand Canyon. If you’re only spending a day here, you can drive around and admire the canyon from the road and perhaps even take a hike. The Trail of Time Hike and Rim Trail are both great options. There are several notable viewpoints: Shoshone Point, Yavapai Viewpoint and the Watchtower at Desert View. 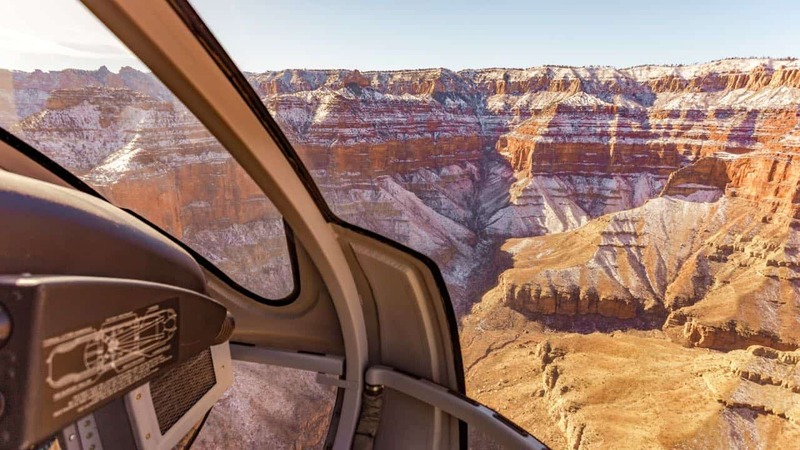 I would recommend spending at least two days; this will give you plenty of opportunity to explore and best of all, you can take a helicopter ride over the cavernous natural wonder. Alternatively, you can opt for a Grand Canyon jeep tour. 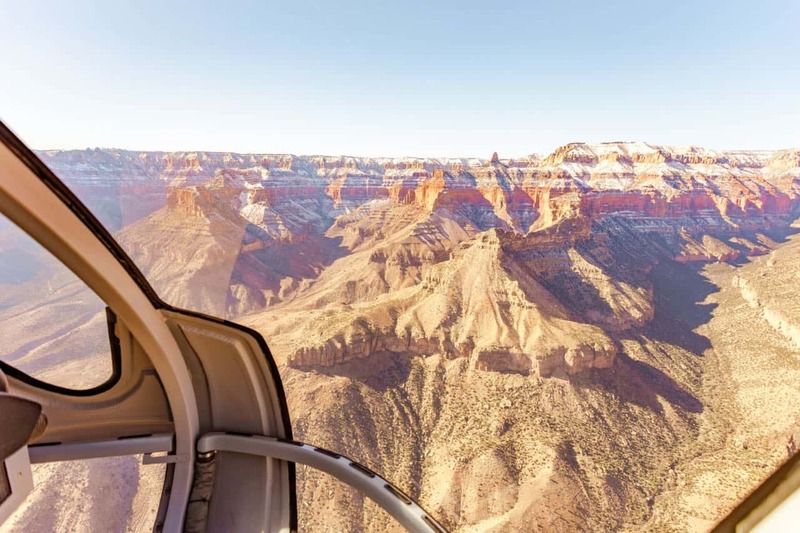 Three days gives you even more time and you can use the third day to visit the West Rim and walk along Skywalk, the glass pedestrian bridge that passes over a portion of the canyon. There are quite a few activities offered and you really can’t go wrong with any of them. Depending on the time of year you visit, make your plans with possible inclement weather in mind. During wintertime roads aren’t the greatest and there can be a lot of ice and road closures. Continuing even further north, your next destination is the town of Page, Arizona. Though this town is very much rural, it does have a Walmart, several grocery stores, gas stations and better hotels to choose from. Where to stay: Page has your basic chain hotels: Hampton Inn, Holiday Inn, Comfort Inn, etc. Again, nothing terribly luxurious but you’re not in Page for pampering; you’re here to see two of the USA’s most beautiful natural wonders. 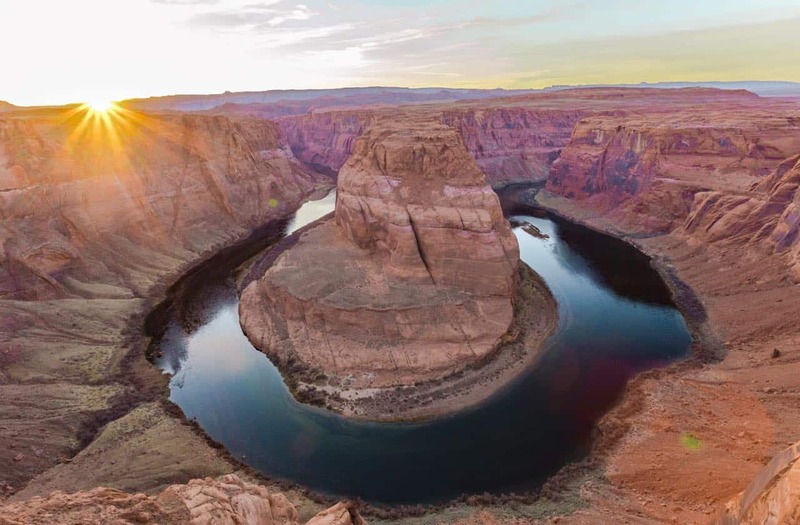 What to do: See the sunset at Horseshoe Bend. Horseshoe Bend is a stunning display of red rock carved by the Colorado River. If you’re coming from the Grand Canyon and are planning to see the sunset the same day, I would allot at least 2 hours to make it in time before the sun actually sets. You need to allow yourself enough time to drive, park, hike and then set up your camera gear for that shot. If you spent the night in Page, I would recommend Antelope Canyon for your first full day in Page. 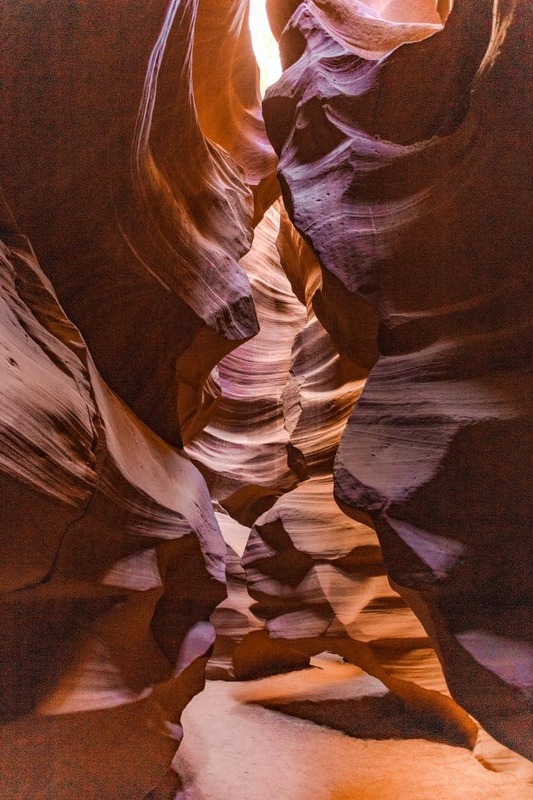 You have two choices: Upper or Lower Antelope Canyon. I chose Upper Antelope Canyon and it surprised me in many ways. 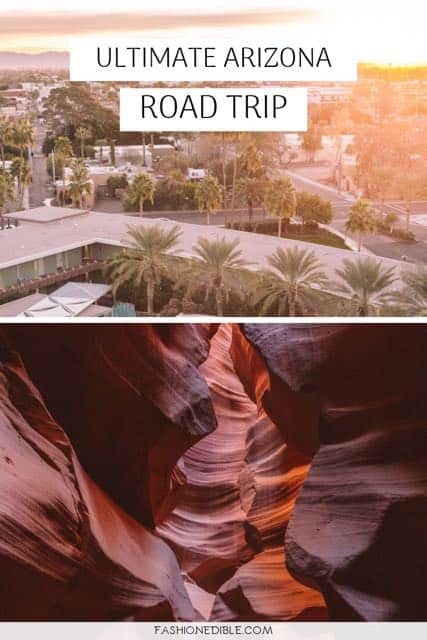 If you add this beautiful place to your Arizona road trip, then you’ll want to check out this Antelope Canyon guide for how to plan for your trip and what to expect before you go. The tour will last between 1-2 hours depending on which you chose and so you’ll finish just in time for lunch. Grab a quick one and then either go on a hike (Waterhole Canyon is beautiful but just a head’s up, you need a permit beforehand) or go visit Lake Powell. You’ll pass Sedona on your way back south and this charming town makes a great stop. 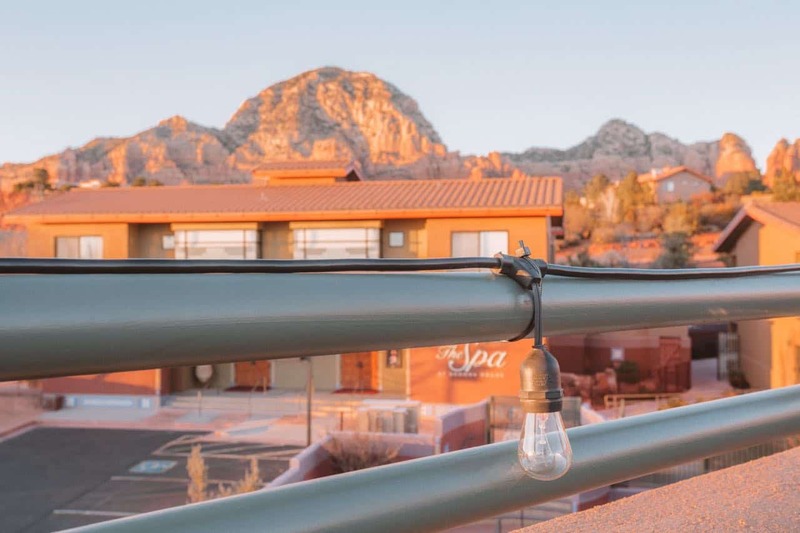 It’s a cute hippie town located against a gorgeous backdrop of cliffs and red rock. You can see rock formations all around you while you’re in town and it gives a totally different vibe than Phoenix. Where to stay: Sedona is ideal for the luxury lover. There are plenty of hotels to choose from including L’Auberge de Sedona, Amara Resort and Spa and the lovely Sedona Rouge pictured below. Sedona Rouge has a spa and restaurant on site as well as beautiful southwest decor. What to do: You can spend your day quickly touring the town and then going on one of the hikes. Devils Bridge Trail looks amazing – I would have hiked it had I not been traveling alone this trip. I’m not a huge fan of hiking alone so next time I’d love to take my husband along and hike some of the trails there. Sedona is more of a luxury spot so treat yourself to some spa time. If you want to extend your time in Arizona or want other highlights to add to your road trip, consider Monument Valley, the beautiful road that takes you in the middle of a desolate mass of rock. It’s well known and very picturesque. If you choose to make the drive out there, you can leave Page early in the morning. It’s only an extra 3-4 hours to add this to your day and well worth it if you have the time. Just make sure to extend your trip in Sedona so your time there is not rushed. Another town to consider adding is Flagstaff. I personally did not stop there but many people have recommended it to me. Again, this will lengthen your trip quite a bit so I would only recommend adding Flagstaff if you have plenty of time.